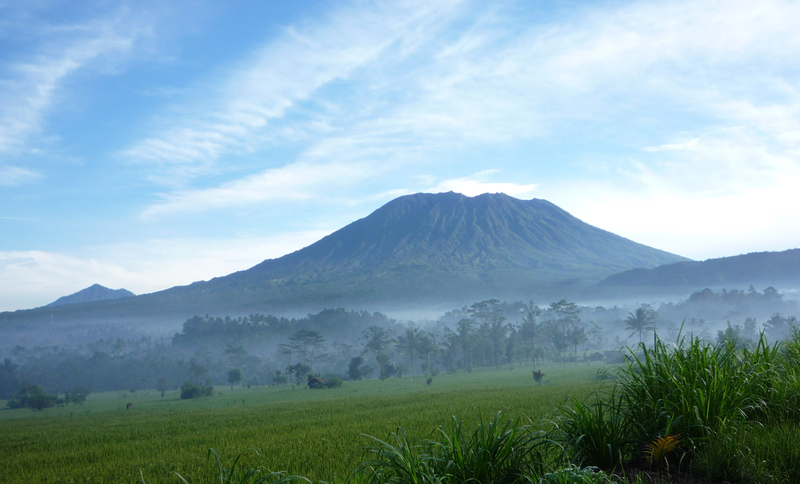 Come and celebrate ten years of Great Mountain Views with some spectacular offers in May and June 2018! Please contact Clare for the details. 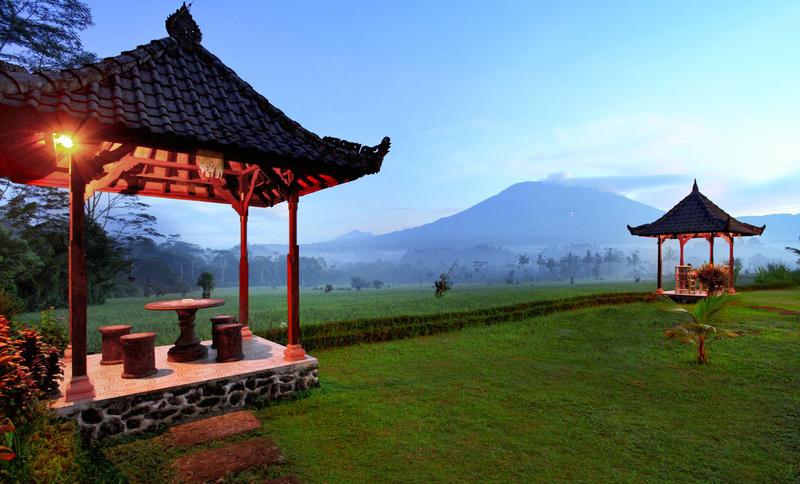 Great Mountain Views (GMV) is a family-run resort located in the heart of Bali. 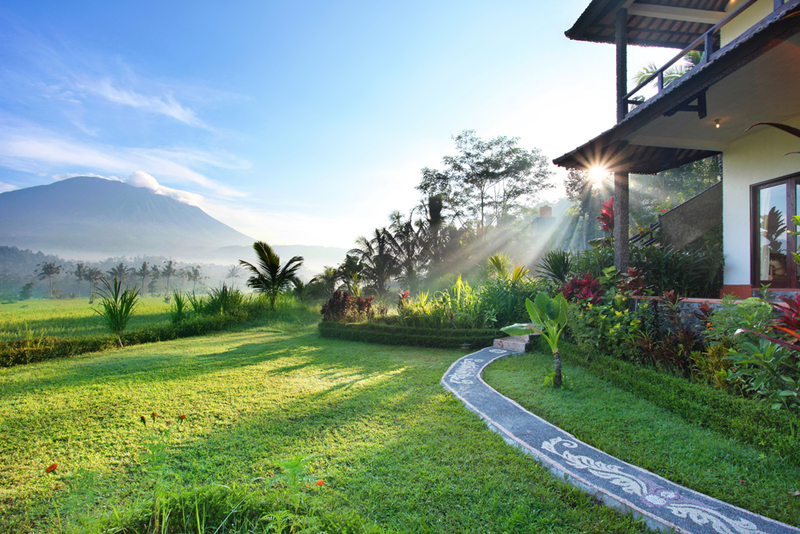 Launched in 2008, our resort offers spectacular views of Mt Agung and Mt Batur, two of Bali’s most important mountains housing among others Bali’s main temple complex Besakih. 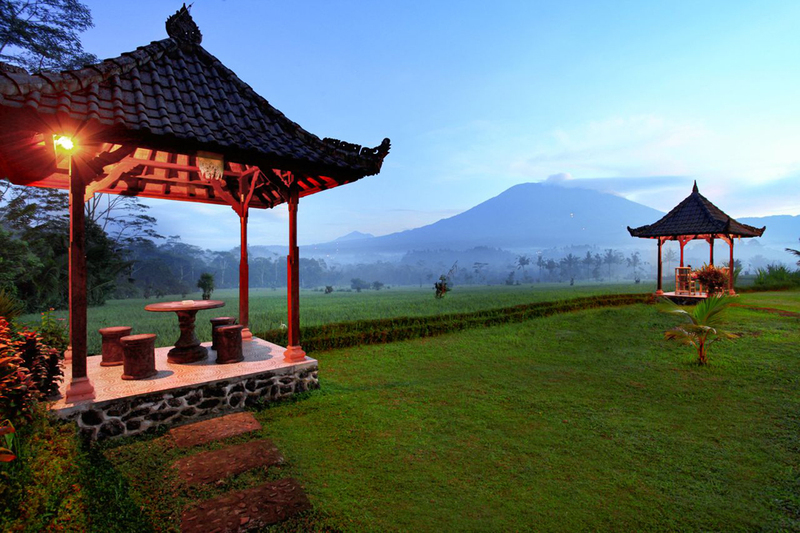 GMV is a unique resort and the perfect base for exploring Bali’s beautiful nature and culture. 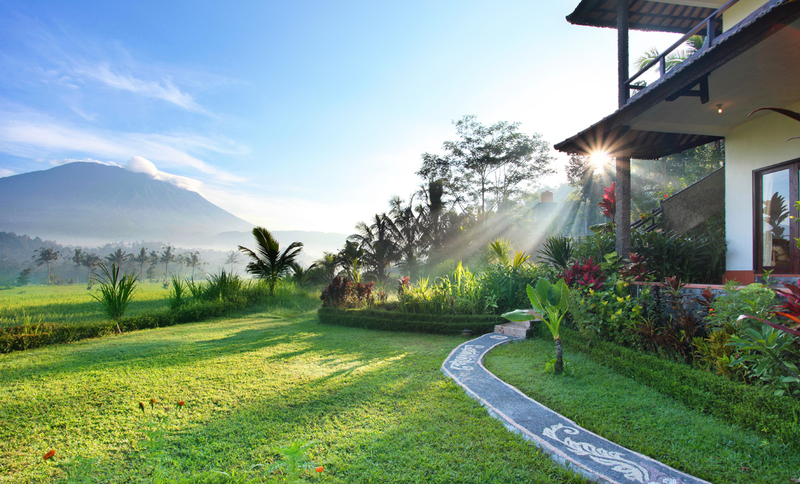 The tranquility and charm of GMV’s location, immersed in the Balinese countryside, is the perfect accompaniment to the spectacular views of specifically Gunung Agung. 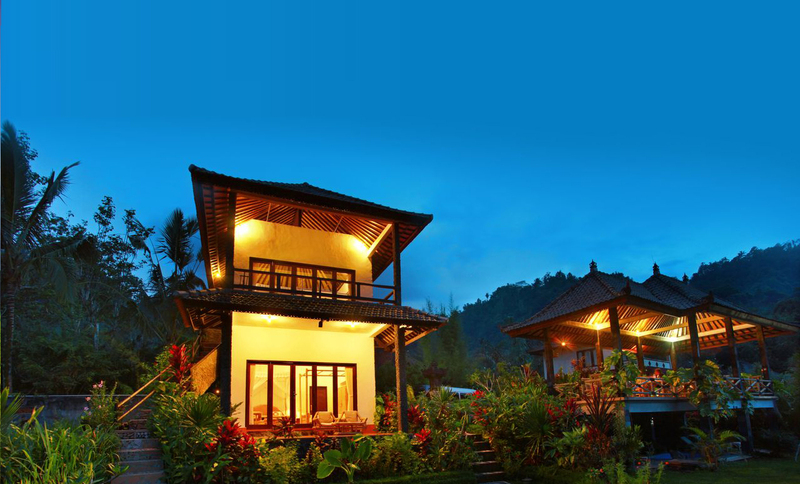 GMV is surrounded by traditional rice fields, yet our ten villas – all with private verandas or balconies facing the mountain – offer all the comfort and facilities the modern holidaymaker expects. 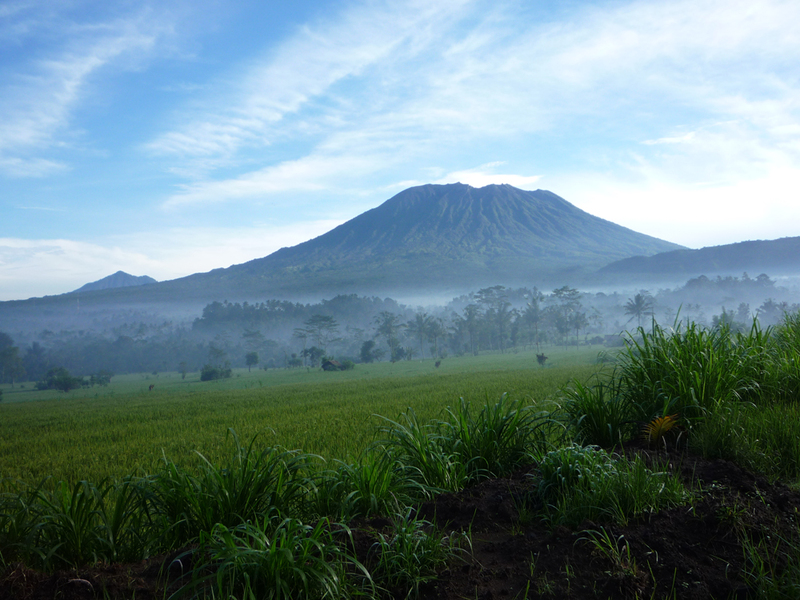 Whether it is peace and quiet that you’re after, or an adventure-packed holiday, GMV is your best base for exploring Bali in all its natural beauty. Click here to check availability, enquire about group bookings and package deals, or make your reservation. Please contact Clare with all your questions and requests. Our preferred method of contact is by email. We try to reply to all emails as soon as we can, but please allow 48 hours for your query to be answered. 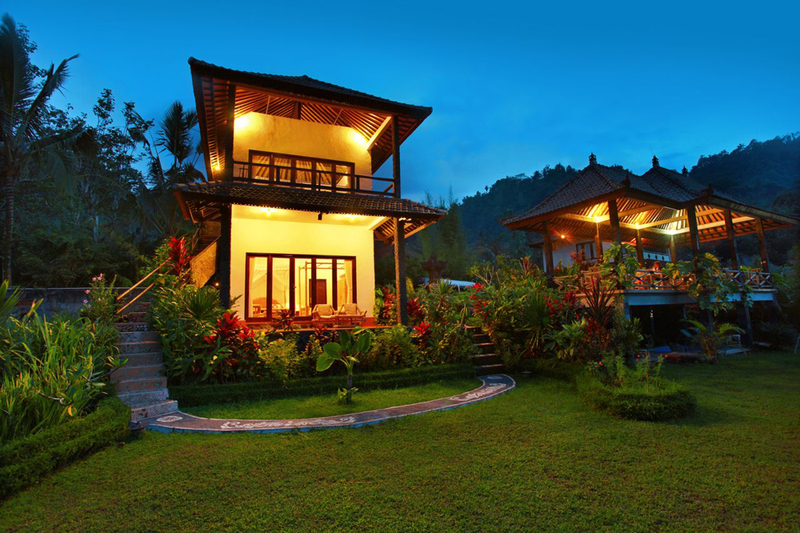 For directions to the resort, or for any other last-minute enquiries, please call or text our resort manager, Nyoman Selamet, on +62 8585 701 3416 (from a foreign phone), or 085857013416 (from an Indonesian phone). Thanks to you we were granted TripAdvisor’s Certificate of Excellence, both in 2016 and in 2017!